It's often helpful to have a glycemic index chart, especially when you have diabetes and struggle to keep blood sugar levels in check. The chart below helps you determine how foods affect blood sugar. For example, a low-glycemic index (GI) food raises blood sugar slow and steadily, while high glycemic index foods cause more rapid blood sugar spikes. To put glycemic index (GI) into perspective and know how certain foods affect your levels, it's important to understand what's considered high, medium, and low. According to Mayo Clinic, a low GI food is 1 to 55, medium GI foods are 56 to 69, and high GI foods are 70 or higher. The chart below provides you with GI numbers for specific foods in a variety of categories. Choosing lower GI foods is generally best when you have diabetes, as these foods help prevent blood sugar spikes. However, high-GI foods come in handy pre- or post-exercise, when you need a quick pick-me-up. Often times foods with more fiber, protein and/or fat content have lower GIs. 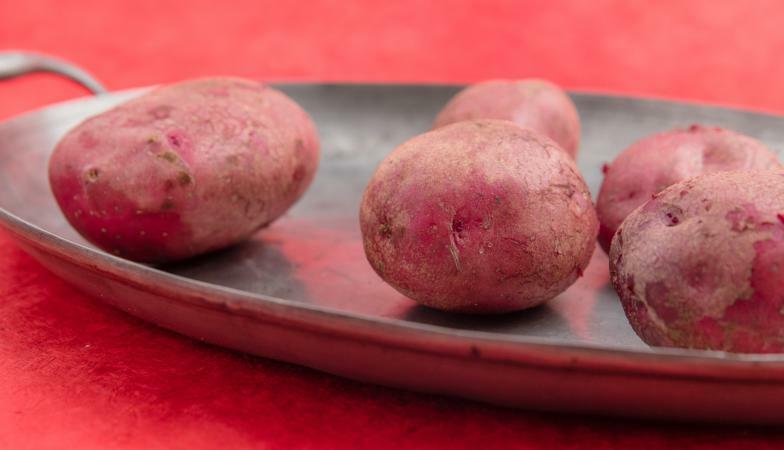 Some foods you might consider healthy (like potatoes) may have higher GIs than you thought.